Does anyone still watch CNBC? I mean to actually get information, not for entertainment. If you were watching, CNBC gave us a blast from the past on Wednesday. And if you weren’t, here’s what you missed. Their guest yesterday morning was none other than Howard Ruff. 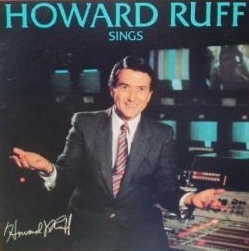 If you’re unfamiliar with Ruff, he was a huge market ‘expert’ and doom and gloomer way back in the 1970’s. Think of him as the 1970’s version of Nouriel Roubini. Well, that might be a little unkind to Roubini. Had we been in a bull market, you can bet that anyone at CNBC suggesting an interview with Ruff would have been laughed at (or fired). Since CNBC, like all general media outlets, reflects sentiment, take this as a sign of the depth of the doom and gloom out there now. Remember the last bull market? or the bubble years? What kind of guests did CNBC feature then? Was Roubini or Prechter or Taleb anywhere to be found? Now we find Ruff, having dusted off his 1979 book and tacked on “in the 21st century” back in the spotlight. Ruff: “Well, yeah. Right now gold - I’m bullish on gold. I’ve been bearish on it for many years. Got bullish again in 2002, I think, and its turned out to do very well. Gold and silver. I like silver better. But there are certain stock groups that are going to very well too. But the individual family has some defensive things they ought to do. For example, all this mess and all the money they are throwing at it is going to cause massive inflation. At no point did CNBC bring up Ruff’s abysmal history in predicting the market, nor did they ask him to explain how his previous predictions and logic could have been so wrong and cost those who followed his advice so much money. But then again, this is CNBC we’re talking about. No one expects real journalism. And although Ruff claims, casually, in the interview that “you can learn more about him than you ever wanted to” on his website, it has no mention at all his first book: “Famine and Survival in America” published in 1974. As you can guess from the title, it was a dreary tome published at the darkest hour of the 1970’s oil crisis and predicted that the US would be ravaged within a year by massive famine. It is now (surprise!) out of print - although you just might run into it at the 10 cents bin in your local used book store. Amazon also has a few copies. If you have a crazy uncle who is into nuclear bunkers, has a cache of guns and canned food out in a cabin somewhere, you can thank Ruff for inspiring him. It is widely believed that the whole “survivalism” movement was started from his first book. Steffen, is this the cover? It doesn’t look like what you describe but worse! Steffan, thanks. I just used google translate since I don’t sprichen deutsche. Care to translate some more of the covers? what exactly is so strikingly similar between them? 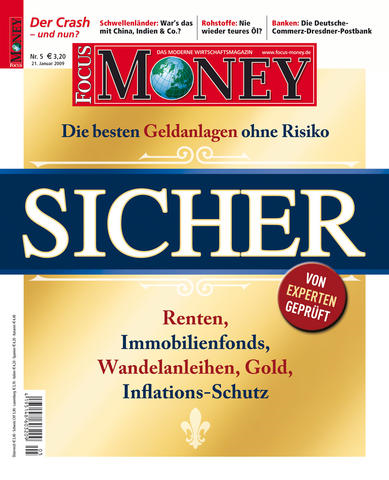 The similarities between them gets clearer when you take the whole picture into account: ‘Focus Money’ usually is one of these magazines which most of the time tries to push people into stocks aggressively. Their covers are always filled with headlines like: “The next price rocket!” “Hot Stocks!” “The 10 stocks everyone NEEDS!”. I think you get the point. These two covers are exceptional during the history of this magazine. Both are the rare occurrence where they changed their tone to “Safety, Riskless, Fixed income”. I wouldn’t overrate this observation, but I found this an interesting piece of the overall puzzle. Especially because ‘Focus Money’ is read widespread by the so-called ‘dumb money’. And the last time they appraised ’safe fixed income’, only three weeks later we had the last market weakness before the big bull market of 2003-2007 started. Die Wirtschaftwoche ist aber der ultimative Contra-Indikator. thank you for bringing up again this thread to attention. In retrospective, the timing of the discussion here is outright scary. My observation of the magazine cover indicator in 2003 was “only three weeks later we had the last market weakness before the big bull market of 2003-2007 started”. The main discussion of this blog entry took place on Feb. 12-13 this year. And three weeks later we had the last market weakness before the big upswing of 2009 (with bottom point on March 9th). Honestly, I have a very scary feeling now how the magazine cover indicator worked again perfectly. b) You can earn 6% interest for 10 years! REASON instead of GREED. These 6 value investments will double your wealth sustainably. My interpretation: Wall of Worry, still overwhelming focus on Safety. Recommendations are value investments, and very conservative stocks (utilities and telcoms) Most recent issue has first line on “Ultra-Hot speculation”, perhaps first glimpse of enthusiasm. Thanks Steffen, the only thing that jumps out is the gold cover (with a target at more than twice the current level!). Astonishing few issues are pushing into stocks. I subscribed to Howard Ruff’s newsletter in October 2009. I canceled within his time frame and STILL DON’T HAVE MY REFUND. I have been going back and forth with his customer service people and they are giving me the run around. He says he has a no hassle money-back guarantee - NOT TRUE!!! I finally opened up the dispute with my credit card company and they said they will take the charges off my account and deal with the Ruff Times directly. Sue, out of curiosity what is Ruff saying these days? I’m curious if his shtick has changed at all or if he’s still all about gold, canned goods and crash and burn for the market.